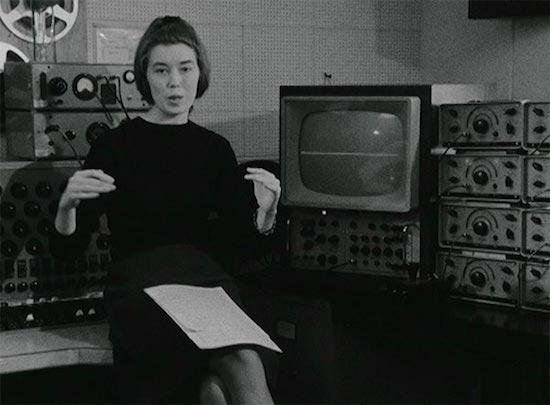 Doctor Who theme composer and one-time member of the BBC Radiophonic Workshop Delia Derbyshire has been given a honorary PHD posthumously by Coventry University. As The Guardian reports, Derbyshire was awarded with the honour from her hometown university yesterday. She was born in Coventry in 1937 and went on to study maths and music at Cambridge University thanks to a scholarship she won. In 1962 she created the Doctor Who theme from a written score by Ron Grainer, but due to BBC policies and a male-dominated industry which saw her work largely ignored while she was alive, she was not giving a writing credit on the song. Derbyshire died in 2001, and May this year would have marked her 80th birthday. You can check a never-heard-before piece of music put together from parts of her lost tape archive here and read about plans by Manchester's John Rylands Library to digitise part of her vast archive here.